Chicago Bulls franchise player Derrick Rose has had three knee injuries and has miss most of the last 3 seasons. Joe Cowley of the Chicago Sun-Times joined Bleacher Report to talk about the Rose situation, and said that the Bulls “would love to trade Rose” but that there are no buyers for him. Cowley referenced that the Bulls have Rose under contract for two more seasons, but that they would be very open to dealing him. Jimmy Butler is going to command a very big contract this offseason, the Bulls also have Nikola Mirotic beginning to break out and show the ability to be a top scorer. Rose is owed $20 million next season and $21.3 million in the 2016-17 season. Those contract numbers for a player like Rose with all the injury issues that he has had simply aren’t team friendly for the Bulls who have other players capable of filling in for him. So the Bulls could be looking to trade Rose, but are there any teams that would be interested in taking a gamble on him? Quite simply, there would be interest from teams interested in acquiring Rose at the right price. If the Bulls are that interested in dealing Rose, then all they’ll need to do is bring down his asking price. Injury concerns are definitely going to play a role in the entire process, but there would be a market for Rose at the right price. Plenty of teams are looking to make moves for players like Rose who can be had at a discount due to different types of concerns. His contract isn’t desirable, but what he can bring to the court when healthy is worth that type of deal. It will be interesting to see what the Bulls decide to do this offseason, and whether or not they openly put Rose on the trade block. During the 46 games that Rose played for the Bulls this season before his latest injury, he averaged 18.4 points, 5.0 assists and 3.1 rebounds per game. He shot 40.7 percent from the field overall and 28.7 percent from behind the three-point arc, but was finally starting to get back to his old play style when he went down with his meniscus tear. 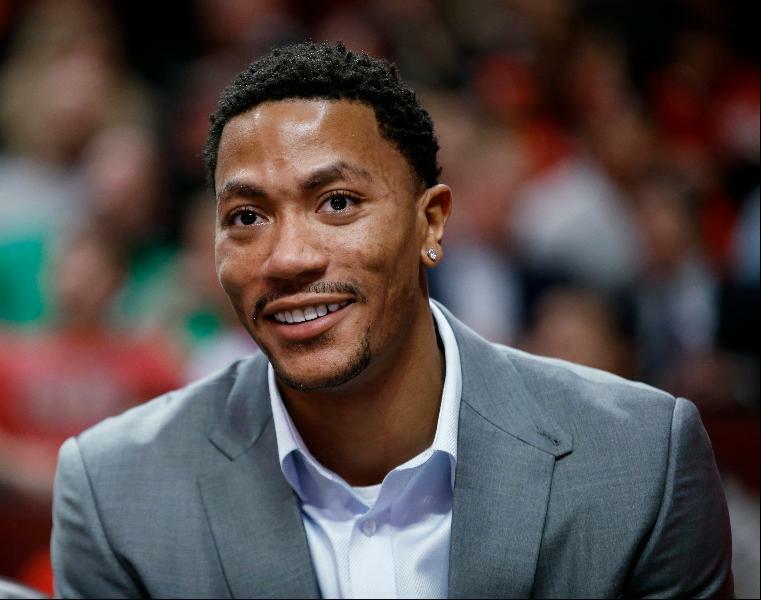 Rose decided to simply trim the meniscus rather than have it repaired, which will help his confidence when he returns. It is appear that he could be getting closer to a return this season, and will likely get a chance to showcase himself in the playoffs. Chicago can only hope that he can give good production whenever he does return, and will up his trade value for the upcoming offseason. No matter what ends up happening, this type of report and speculation is extremely interesting to see consider. Rose may be a fan favorite, but he certainly isn’t untouchable anymore.